How do I spend my Friday nights in the summer? If there is a volleyball match, don’t expect me to be anywhere else but in front of the TV or browsing the Internet looking for some good games (of course the best option is to attend the matches in the sports hall but since there aren’t any major volleyball events in Barcelona…). I remember my first ever to attend a volleyball match – it was a game between Bulgaria and Poland in the summer of 2002 (if I am not mistaken). Since that moment I have been to so many and so different matches that it is impossible for me to count them. I have attended friendly games. I have attended matches from the Bulgarian Championship. I have attended matches from Champions League. 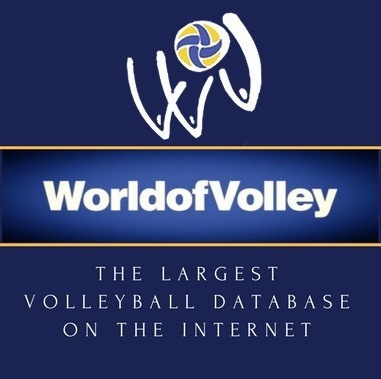 I have attended all kind of international matches – European and World Qualifications, World League, European League, World Grand Prix, even European and World Championships. And to me all this seemed all normal. I haven’t ever questioned myself if this is an extra human right that I am having or what …? I have never doubted if I am allowed or not to go to volleyball matches because of being a woman. Until 2014 when the case of a British Iranian woman has been told to the world. 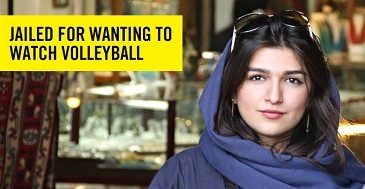 Ghoncheh Ghavami, a University of London graduate was detained in Iran after attending a protest outside a volleyball match. It took five months behind bars for authorities to release her. A world movement from famous players has spread the world and the case became popular. Which led to a volleyball debate in Iran and on the international scene – should women be allowed attending volleyball matches in Iran or not? And in case of being prohibited, should Iran host any international matches? And luckily, at least the world has started to speak about this problem. Why aren’t women allowed to go to volleyball matches? Isn’t volleyball for everyone? Seriously a woman can do harm to a volleyball player only by watching him play? Or maybe he could do something bad to her while playing on the volleyball court? Really? Last Friday night wasn’t any different for me. Volleyball matches and good atmosphere. And then I read some news that Iranian women finally have been allowed to attend volleyball matches. Great! 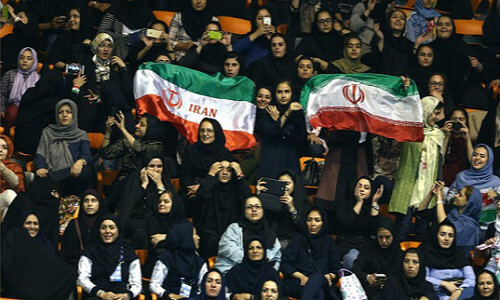 FIVB even showed photos of Iranian women supporting their team at Azadi Sport Complex in Tehran. And then I checked what is going on in Twitter. You know – world news, Brexit jokes, football etc. I felt hurt. Not as a woman. But as a human being and a volleyball lover. Because as I have told you, I have never imagined in my life that there will be a moment when a human who wants to enjoy by watching a volleyball match will be restricted to do so. Only because of being a woman. What got me even madder is the fact that only 466 of the 5,000 tickets were allotted to a section aside women. Despite a commitment from volleyball’s world governing body that women would be able to attend this weekend’s World League tournament at the Azadi Sport Complex in Tehran, Iranian women who have pushed to make sporting events more open say they haven’t been able to purchase tickets despite multiple efforts to buy them online, Times of Israel reports. Female fans are traditionally barred from attending male-only sporting events in Iran — efforts by authorities to enforce strict interpretations of Islamic norms — but many women are pushing to change that practice. From the moment tickets became available, the website for sales said the female allotment had been filled, according to several women who say they tried to purchase tickets, Times of Israel continues. Of course, I don’t know whether all this is true or not. I don’t want to judge without being sure at 100%. But having in mind last year’s protests against women attending sports events I kind of believe that it was difficult to purchase a ticket. Nowadays I enter the events most of the time as a journalist with accreditation because of my job. But I do remember the times when I had to buy tickets as a fan and the disappointment that I had when I couldn’t do so because of tickets being sold out. But I can’t imagine how one feels when one can’t be just a volleyball fan, a volleyball lover. Because one is a woman. I sincerely wish Iranian women to keep on fighting for their rights. The volleyball world should support them even more now, in this situation. Because volleyball is for everyone.